It may be true that drama is a young actor’s game; after some years of it, it gets draining, and a seasoned actor starts leaning more towards comedy (which is often harder). Meryl Streep began her career intense and tragic, becoming synonymous with “anguished Oscar-chasing chameleon,” but she’s been lightening up over the past decade or so. Her role in The Devil Wears Prada — the imperious fashion-magazine editor Miranda Priestly — is probably the pinnacle of Streep’s late-period sojourn into comedy. Streep brings all her authority and technique to bear in a performance that barely requires her to move (everyone else moves for Miranda). When she’s done talking to a subordinate, she inflects “That’s all” with a cool dismissiveness that borders on metaphysical — you half expect the other person simply to vanish into thin air, as he or she vanishes in Miranda’s attention. Streep is a far better reason to see The Devil Wears Prada than the movie itself. It’s entertaining enough, and it’s shrewdly cast — it’s great to see Stanley Tucci again, in the bitchy role of Miranda’s right-hand man at Runway magazine. But at its core is another of those tired moralistic plots in which a nice ingenue agonizes over Selling Out vs. Being True to Herself. The ingenue here is Anne Hathaway, perhaps cast because she proved in the Princess Diaries movies that she can rise to royalty without making the audience feel that she’s putting herself above them. (It’s essentially the Julia Roberts role of fifteen years ago.) Hathaway is Andy Sachs, an aspiring writer and recent college grad who puts herself through the torture of working as assistant to the impossibly demanding Miranda because after a year in the job, we’re told repeatedly, Andy can write her own ticket in New York. Andy can’t make up her mind how she feels about this, and neither can the movie. Things are muddled further when Andy meets a suave magazine writer (Simon Baker) who obviously has the hots for her and offers to introduce her to his editor. All these golden opportunities fall into Andy’s lap, and she doesn’t know what to do with them. To be honest, she begins to seem a bit of a dummy. Why so much dithering about the price of success? Especially since the movie half-heartedly defends Miranda by saying that, if she were male, nobody would have a problem with her attitude? That’s true to some extent, though I wonder if anyone who’s worked for, say, Donald Trump and felt his wrath would say the same. Or, for that matter, the raging movie producer played by Kevin Spacey in 1995’s Swimming with Sharks, which this film resembles, except that Andy doesn’t kidnap Miranda and torture her with paper cuts. Like many moralizing Hollywood films, The Devil Wears Prada wants to have its cake and denounce it too. After entertaining us with the flash of the fashion world and its witty menagerie, the movie turns around and says it’s all cutthroat and meaningless, and that we shouldn’t try to get above our station — we should be happy being schmoes. It would play better if Andy were shown to be actually good at her job, instead of lucking into most of her advancements; how convenient, for instance, that she finds a way to get ahold of the unpublished Harry Potter manuscript because her new writer friend knows someone who knows someone. The Devil Wears Prada tells us it’s all about who you know, a bitter truth everyone learns sooner or later, but then gives Andy a noble way out of the shark tank based on … who she knows. The movie needed to be either lighter or darker; it scolds Andy for making certain choices without making any itself. Consider the poor übermensch — always alone, cut off forever from his roots, forced to disguise himself as a dweeb who has no personal life. In keeping with the recent string of morose films about the trials and tribulations of being a superhero, Superman Returns gives us a Superman (Brandon Routh) who comes back to Earth after five years and finds the old global problems are far worse, his old girlfriend Lois Lane (Kate Bosworth) has had a son with her new fiancé (James Marsden), and his old nemesis Lex Luthor (Kevin Spacey) is out of jail and plotting to create his own continent at the expense of billions of lives. Whew! Not too much pressure. One wouldn’t blame Superman too much if he decided to turn around and fly back into space. But the words of his long-dead father Jor-El (Marlon Brando, resurrected via computer) echo in his mind: “They can be a great people, Kal-El; they wish to be. They only lack the light to show the way. For this reason above all — their capacity for good — I have sent them you, my only son.” The true heart of this Superman movie is not that humankind should be inspired by Superman; it’s that Superman is inspired by the non-superheroic but brave and selfless humans he lives among. Lois tells Superman “We don’t need a savior,” and the movie backs that up by reminding us of our capacity for good. Beyond that, Superman Returns is a cracking good adventure, though sometimes too leisurely and not without stress cracks: There’s only so much radical stuff you can do with a movie rumored to cost north of $200 million. Kevin Spacey plays Luthor with his usual hooded suavity, and it’s a relief to see him being a snake again after a long run of Oscar-chasing. But Luthor’s plan barely makes sense, and he scarcely gets any screen time opposite Superman. Director Bryan Singer, whose two X-Men films raised the bar for superhero movies, avoids some obvious narrative beats but lingers over others, such as a sequence of a grievously wounded Superman in the hospital. 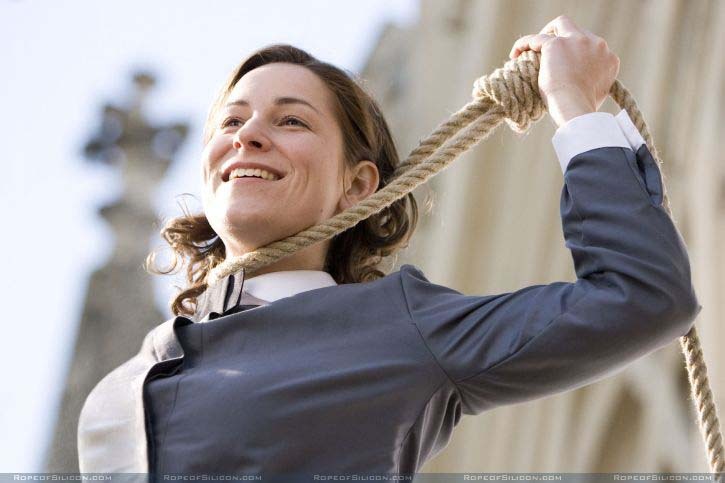 The script seems patched together, and I can’t be alone in thinking they should’ve saved Lois’ kid for the sequel. When it comes down to pop apocalypse, the movie delivers. The plane rescue is probably going to go down in some kind of set-piece history — the tremors of danger, the spike upward into chaos, the tension and release, all suggest Spielberg in his freewheeling prime. Superman Returns is not structured as a clothesline of disconnected computer-assisted thrills, and that’s a surprise; the movie is uncommonly becalmed, reflective. The action is staged beautifully; it’s kinetically dazzling. But there’s very little threat underneath it all — you know Superman won’t fail or die. At least in the original 1978 Superman, Lois Lane actually died (even if only temporarily), giving the hero an ugly reality slap — even he couldn’t be everywhere at once and save everyone. I liked and enjoyed Superman Returns, though I wish I were as sold on it as some critics who seem to be clinging to it as this summer’s savior after a long string of bummers. It doesn’t redeem the cinematic sins of Mission Impossible III or X-Men 3; it’s merely good, not great, and the only risk it takes is financial (at this writing I haven’t seen the opening-week box-office numbers). Brandon Routh is solid and genuine if a little plastic — he seems to have been cast solely for his resemblance to Christopher Reeve, and he doesn’t have Reeve’s mixture of authority and wry self-amusement. Kate Bosworth doesn’t ring any bells as Lois; if Singer wanted to cast closer to the original, he should’ve gone with Parker Posey, who is mostly thrown away as Luthor’s ditzy, Pomeranian-toting moll Kitty. A $200 million summer blockbuster with Parker Posey in a small supporting role is good; a $200 million summer blockbuster with Parker Posey grabbing significant screen time and getting to canoodle with Superman would’ve been magic. In Midnight Express, American audiences were horrified by the story of a young American man captured and tormented by brutal Turks. Now, in The Road to Guantanamo — co-directed by controversialist Michael Winterbottom with Mat Whitecross — American audiences can be horrified by the story of three young Arabic men captured and tormented by brutal Americans. The Road to Guantanamo is not a complex work; we’re clearly meant to take the protagonists’ word on faith, and a certain portion of the audience is all too ready to believe that the U.S. can and does detain innocents indefinitely and subject them to various physical and psychological ordeals just out of sheer righteous belligerence. We meet four young men, one of whom, Asif, is a British citizen with family in Pakistan. Asif wants to go back to his homeland to get married, and three of his friends accompany him. Through a series of mishaps and errors, the men end up on a van headed straight into Taliban territory in Afghanistan — in October 2001, when the U.S. commences its attack on the country. These specific men may or may not be as innocent as they portray themselves; the details are sometimes fuzzy. But we’re also meant to be outraged at the idea of innocent men being caught up in the sloppy sweep of swarthy faces (in the nervous, trigger-finger aftermath of 9/11, Arab = Al Qaeda), and we are, because we have no doubt that it’s happened and continues to happen. 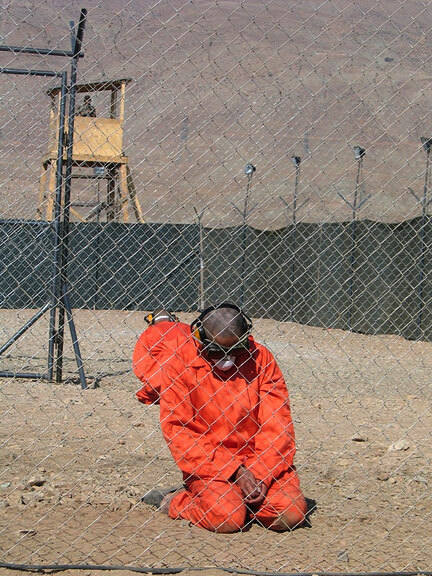 The first half-hour of The Road to Guantanamo is set-up, and its remaining hour is unrelieved suffering. The men are degraded, humiliated, literally ground into the dirt; they are subjected to extremes of heat and cold, forced to maintain agonizing positions for hours, pushed around while wearing the now-famous hoods. Winterbottom and Whitecross do their best to put us inside the experience, and it fills us with a cold fury. The American (and sometimes British) officials who handle the detainees at Guantanamo are brusque, blinkered types who ask the same questions over and over, using lies (“Your friends told us you’re a member of Al Qaeda”) and manipulation to get the men to tell them what they want to hear. Sometimes they play good cop-bad cop; mostly what we see is bad cop. Occasionally there’s an American soldier who isn’t a screaming sadist, but rarely. As I said, this isn’t a complex work — it’s an effective bit of agitprop trying to highlight a reality most Americans don’t want to look at even if they were officially allowed to. In any event, we experience the American captors as the captives themselves do; we’ve seen plenty of Iraq War films by now from the soldiers’ point of view. As docudrama characters, the men are somewhat blank, I assume by necessity as well as by design. It’s easier for a wide audience (or at least as wide an audience as a film like this ever gets) to project themselves onto people without excess personality or quirks; that’s why Midnight Express never told us a lot about Billy Hayes (of course, that film also misrepresented the case considerably, which is why, fairly or not, we approach something like The Road to Guantanamo with a grain of salt). Now and then, we get interview footage of the actual men, who present mostly impassive faces to the camera; they weren’t going to spill their guts to the Americans, and they’re not going to spill for a couple of filmmakers. They tell their stories blandly, and one of them actually says the experience made him a better person. (I appreciate the honesty of Winterbottom and Whitecross to include that bit.) They don’t, in other words, give us the quivering-bottom-lip confessional gush we’re conditioned to expect. They went through hell and they describe it to us impersonally, and they don’t owe us anything else. You can argue with the movie’s approach and thesis, but undeniably it etches a Kafka-esque nightmare for us and taps into our fear of being imprisoned and treated like animals for something we haven’t done. These men, we’re sure, will lead peaceful lives after their ordeal. But we’re left to wonder if it occurred to anyone at Guantanamo that the whole machinery of torturing confessions out of random captives may not catch terrorists, but it may very well create them. Question: Why would smart guys like Jack Black, director Jared Hess (Napoleon Dynamite), and screenwriter Mike White (Chuck & Buck, School of Rock) make a dumb wrestling comedy? Answer: Because they wanted to, and because Nacho Libre isn’t as dumb as it seems. Less concerned with slapstick than with the sort of bizarre deadpan laughs that were Hess’s stock in trade in Napoleon Dynamite, the new film isn’t nearly as quotable as anything else these three have been involved with. (Though the line about men sometimes wearing stretchy pants in their rooms for fun deserves a mention.) It’s an odd duck — the moments of physical humor you’ve seen in the ads are surrounded by dead air. Hess has the most languid sense of comic timing since Bill Murray at his peak. 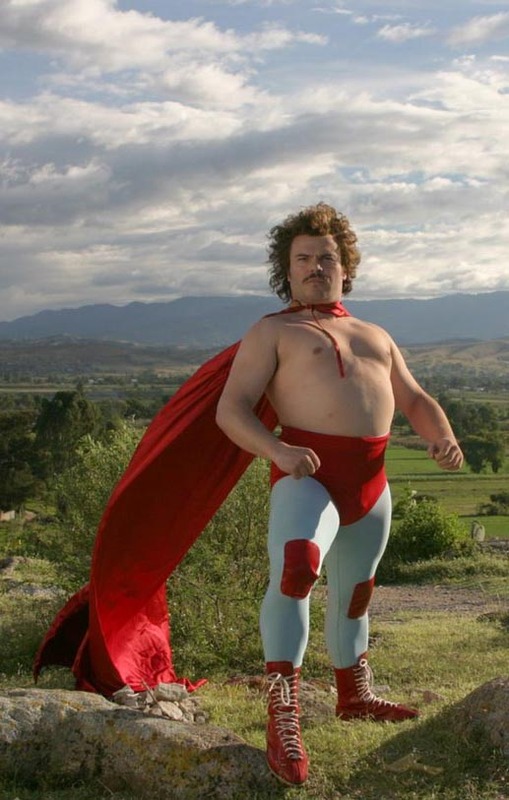 Nacho Libre finds Black as Ignacio, or “Nacho,” a friar at a remote Mexican monastery who cooks for the orphans but harbors dreams of being a great luchador. Nacho has the build for it, but not the skills. He gets a neighborhood thief named Esqueleto (Héctor Jiménez), who’s as bony as Nacho is fleshy, to train with him as his partner. Nacho’s goal, aside from the glory of hearing thousands of fans yelling his name, is to raise money for the monastery and perhaps win the heart of the comely Sister Encarnación (Ana de la Reguera), the orphans’ new teacher. Aside from Black and Peter Stormare in a truly weird cameo as some sort of guru who encourages Nacho to drink eagle yolk, most of the cast of Nacho Libre is Mexican. I’ve seen some rumbling, based on this film and the famous Pedro in Napoleon Dynamite, that Jared Hess is a racist, specifically against those of Latino extraction. Actually, the least ridiculous people in Napoleon Dynamite were non-white — including Pedro (why else do you think everyone wore “Vote for Pedro” shirts for a while?) — and nobody in Nacho Libre is ridiculed for being Mexican. The movie’s basic plot could’ve unfolded anywhere, but Hess wanted to capture the colorful and specific tone of lucha libre, the heavy masked wrestlers sweating all over each other. Visually, it’s an injection of sci-fi superheroics into an already vibrant culture. It made me want to find a copy of Wrestling Women Vs. the Aztec Mummy, a film that could emerge from no other land. Jack Black is strongly American and modern (the latter is the main reason he didn’t quite work for me in King Kong), and here he is in a village seemingly out of time, with a barely passable accent. Yet somehow the performance comes off; it fits the general play-acting vibe of the film. He’s never quite Nacho; he’s never not Jack Black. It’s as if someone had said “Wouldn’t it be cool if we took this lucha libre flick and stuck Jack Black into it?” and then actually did it. When Black gets his music mojo working — once when improvising at a party, once when sharing a song he wrote about his beloved Encarnación — it doesn’t take you out of the movie as much as it would if there were more of a pretense that Black is actually supposed to be Nacho. In his two films so far, Jared Hess goes beyond irony into a sort of meta-comedy. I don’t quite know what’s going on under the surface and I don’t think Hess knows either. The pleasures of Nacho Libre are in the details — Esqueleto’s addiction to corn on the cob dusted with chili powder; the somberly funny way Nacho and Encarnación munch toast together; the use of Os Mutantes’ gaily lurching “Bat Macumba” to underscore a bit with Nacho’s robe on fire. Underneath it all is a kind of deadpan joy — familiar to those who cackled at Napoleon Dynamite dancing to get votes for Pedro. Nacho Libre is a film that Napoleon, with his affection for ninjas and his drawings of ligers, would pay to see — or maybe even make himself. Hess’s movies are like the unassuming but ambitious doodles that kids like Napoleon or the young Nacho draw in their notebooks. I’ll be curious to see what Hess doodles next. For a while back in the ’70s, horror movies had weighty things on their minds. Americans were concerned about the real presence of evil in the world — terrorism, an unpopular war, a widely hated president — so Lucifer himself, the fallen angel representing a fallen country, brought his brimstone stench into theaters. Americans were afraid of their own children, so in many cases Satan took the form of a cherub. Americans were uneasy about the Middle East, so in films like The Exorcist (1973) and The Omen (1976), all the trouble started there — or, at least, all the spooky evidence was found there. Gee, how things have changed. 9/11, Columbine, an unpopular war in the Middle East — the stars, Mr. Thorn, I say unto you the stars have aligned for the ghastly return of the Adversary. Well, either that or June 6, 2006 was a really cool release date for a remake of The Omen. The Omen was ridiculous in 1976 and it’s ridiculous now. Richard Donner’s original film, an unstable mix of old-Hollywood pomp and post-Vietnam bloodletting, moves like a snail across an acre of flypaper; any residual affection attached to it by horror fans derives more or less solely from its freakish death scenes. For that, these days, we turn to the Final Destination series, which do the Omen series one better by making the villain Death himself. I will say that thirty years of special-effects evolution have given us more realistic renditions of the church-impales-priest bit and the whoops!-there-goes-your-head bit. I can also testify that the final scene between the hapless Katherine and the ruthless Mrs. Baylock plays out much more credibly here than in the original (wherein — not to spoil it — we did have to wonder, “Wait, what? And she got away with it?”). Julia Stiles is a terrific actress in the right role, which isn’t what she’s got here. Stiles is twenty-five but could still pass for fifteen, and she will probably have to wait another ten years before seeming remotely believable — or comfortable — playing a mom. She may be too spiky a presence to exude maternal instincts, anyway. (While she may, if she chooses, make a fine real-life mother someday, it’s all about how she comes across on film.) As for Liev Schreiber, he responds to the challenge of following Gregory Peck by going small and minimalist; Peck was certainly a stoic slice of ham, but he could get it together and get his voice up when necessary. Schreiber just lets the plot bulldoze him, a passive hero unconsciously aping Tom Hanks in The Da Vinci Code, trailing behind people who are always telling him what things mean. Omen ’06 did bang-up business on June 6, perhaps owing to all the giggly teens and twentysomethings who responded as expected to the brilliant calendar marketing. Whether it has enough staying power to warrant remakes of 1978’s Damien – Omen II (the Anti-Christ as conflicted teenager) and 1981’s The Final Conflict (the Anti-Christ as Donald Trump) remains to be seen; it ranked fourth over the weekend, presumably abandoned by those who didn’t want to be so unhip as to see it on June 10 or something. Even if sequels are planned, though, the precedent of the 666 release date presents a practical problem: There won’t be another opportunity for this kind of Gregorian synergy until June 6, 2106. That means any subsequent Omen movie will just have to come out on, like, a Friday. Bummer. Ten years after Swingers, with summer hits like Dodgeball and Wedding Crashers under his belt, Vince Vaughn is apparently a Hollywood player — measurable, in part, by a star’s ability to get a project off the ground. The Break-Up is Vaughn’s baby; he coproduced it and worked out the story with scripters Jeremy Garelick and Jay Lavender. It should surprise no one that Vaughn, who has an oily charm in comedic roles and an effective nervous tension in dramatic ones, has put together a comedy-drama for himself that takes advantage of most of what he has to offer as an actor, but doesn’t push him an inch beyond that. In The Break-Up, Vaughn’s standard lovable jerk is shown to be not so lovable on occasion, but since the emphasis is always on him, the movie comes across as an odd mix of star vehicle and self-flagellation. It’s painless where it shouldn’t be and painful where it shouldn’t be. Vaughn is Gary, a Chicago tour-bus guide who, at the film’s start, works his bad-boy charm on art-gallery assistant Brooke (Jennifer Aniston). She falls for him and his line of patter, some time passes, and they wind up sharing a spacious condo — though on their salaries, I have to wonder about that. The movie gets going when Brooke gets tired of always being the responsible one in the relationship — the one who cooks, cleans, and basically enables Gary’s protracted adolescence. The Break-Up seems to be missing its first half, where Brooke’s resentments would be allowed to build naturally instead of seemingly arriving in a sneak attack, though I suppose the point is that all of this is news to Gary. Harsh words are exchanged, and the pair now find themselves sharing opposite ends of the spacious condo when neither one will move out. The movie has very little time to devote to Brooke, though we get a few scenes of her commiserating with best bud Joey Lauren Adams (who I never thought I’d see playing a voice of wisdom with a husband and two kids, but time does fly). The Break-Up is mainly about Gary and how he has to change his ways if he hopes to win Brooke back. To its credit, the film gives Brooke’s complaints their due. But Brooke is at fault on some level here, too; obviously there hasn’t been much communication in this relationship, and communication is supposed to go both ways. If Brooke hasn’t established her needs and wants, she can hardly be surprised if Gary doesn’t know what they are. The movie, however, assumes that only Gary needs refurbishing. Director Peyton Reed assembles a large supporting cast (including Ann-Margret, looking animatronic) and then trots them out to do their specialties, scarcely letting them interact with anyone but Gary or Brooke. Judy Davis, who deserves better, does her pinched-urban-woman number as Brooke’s boss at the gallery; Cole Hauser and Vincent D’Onofrio are wasted as Gary’s brothers (and partners in the tour-bus business). The reteaming of Vaughn and his Swingers and Made cohort Jon Favreau promises more rapport than we get, since the rough bartender Favreau is playing doesn’t give Vaughn as much to play off. In any event, Vaughn dominates all his scenes; when he isn’t around, we’re in a different movie about Brooke selling art and going on mortifying dates. The Break-Up clearly wants to be more intelligent than it is, but its status as a summer comedy dictates not one but two swishy gay stereotypes, one of whom cements his obnoxiousness by singing “Owner of a Lonely Heart” and then karate-chopping Gary in the throat. A scene in which Brooke tortures herself (via bikini waxing) in order to torture Gary (by strolling past him naked) makes little sense and is merely part of the movie’s tepid War of the Roses midsection wherein the couple behave like vengeful teenagers. And the movie won’t add anything to gender enlightenment: Gary is all about sports and videogames, Brooke likes ballet — and that’s about all she seems interested in that doesn’t have anything to do with Gary. The Break-Up is unique, I suppose, in one respect: most movies of this type make you wonder why the estranged couple have come apart; this one makes you wonder why the hell they were ever together.